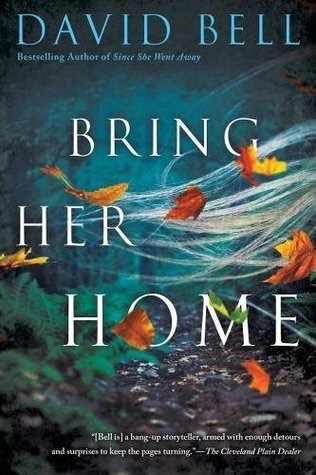 A couple of weeks ago I participated in a special blog tour to celebrate Bell’s newest release, if you missed it here’s my review of The Forgotten Girl. I’m a huge fan of his novels and BHH is hands down my new favorite! It was shocking, compelling and ultimately a satisfying read. Bill is an average man, a father still grieving after the sudden loss of his wife when the unthinkable happens and his teenaged daughter, Summer goes missing. This was unique in that it begins after she was already missing for a few days and wasn’t told from the POV of a police officer, it’s told from Bill himself. Beyond that, I don’t want to discuss the plot because it was full of twists and turns that were shocking. This was straightforward storytelling with no alternating timelines or various points of view and I didn’t realize how much I missed books being told this way until I picked this up. It was really nice to read something told in a basic linear matter with no extraneous devices used. The pacing was really fast and the writing style was so fluid and polished, Bell is a truly gifted writer. I spoke of the twists earlier, but I want to point out again how blown away I was by the way they were executed. There was a subtlety to them and they were wholly believable. You know how oftentimes you have to suspend disbelief when you’re reading a thriller? There isn’t any of that here, scenarios are realistic and so are the characters Bell crafts. Bill broke my heart he was so raw and vulnerable, he was really relatable and I connected with him instantly. If you haven’t read a Bell novel before, start here. I think it’s his best work so far and it was such an engrossing tale, definitely going on my list of top reads of the year. I’ve only read one Bell book – Since She Went Away – which was just ok for me. I really should give his books another go. He actually lives about an hour away from me, and attends all the same book festivals in Ohio that I do. He seems like an awesome & down to earth person from what I’ve seen of him. Whoa a thriller told in a linear timeline?! That doesn’t seem to happen much these days! I liked this better than SSWA! He totally seems so awesome online.